Jacob & Renesmee. . HD Wallpaper and background images in the Jacob Black and Renesmee Cullen club tagged: renesmee nessie jacob black renesmee cullen love fan art jake and nessie. 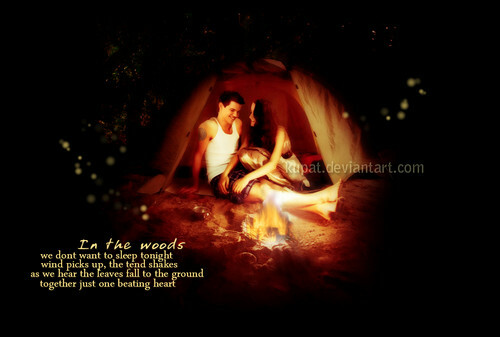 This Jacob Black and Renesmee Cullen photo contains 火, 消防, 火, 火焰, and 地狱. There might also be 喷泉.